Adam has significant experience rapidly scaling growing digital marketplaces and software companies. Currently, he serves at Chief Business Officer at Guild Education. 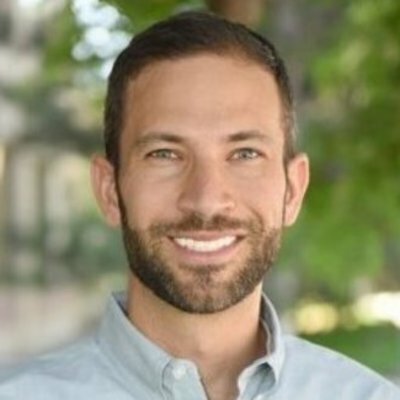 Prior to Guild, Adam was part of the senior executive team that transformed the stalled ServiceMagic brand, business model, and product experience into HomeAdvisor / ANGI Homeservices, the #1 online home improvement marketplace, which went public in October of 2017 with revenue over $1B and an enterprise value greater than $6 Billion. At HomeAdvisor, Adam had full P&L responsibility for HomeAdvisor’s subsidiaries and led strategy, corporate development, and business development. He is also an active angel investor and has served as an advisor for several other successful internet companies, including Artifact Uprising (acquired by VSCO) and The Cheat Sheet. In his spare time, he serves on the board of the Denver Girls Athletic Leadership School, an organization that operates three public charter schools in Denver. Adam began his career as a strategy consultant with the Boston Consulting Group. He holds a J.D. from Harvard Law School and a B.A. from the University of Michigan.